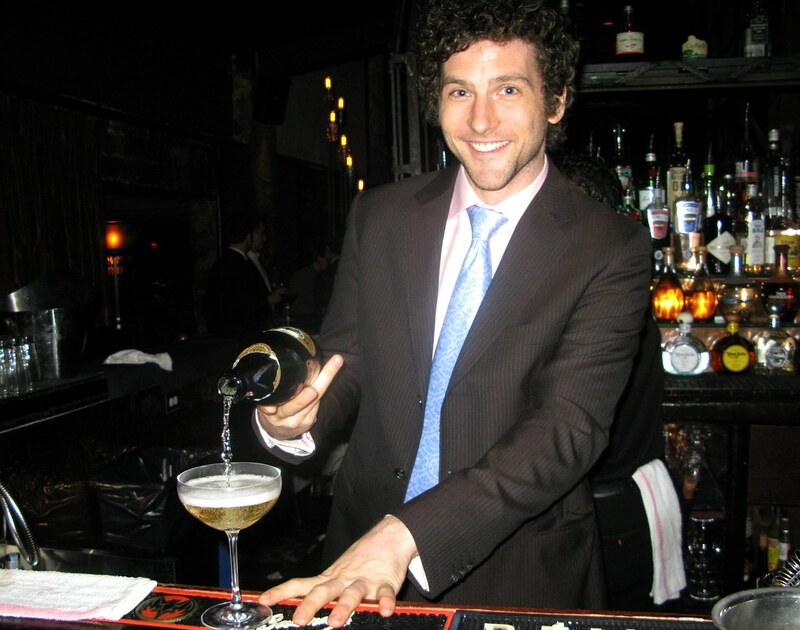 I was bummed that I couldn’t get anywhere near the dreamy and very much in demand Joseph Brooke, the Edison’s new director of spirits, when he was mixing cocktails at the packed Radio Room last week. But was thrilled when I got the chance to interview him for LA Weekly‘s Squid Ink. For that, Joe gave me 40 minutes of great stories, insights and even cocktail recipes. I thought for sure my editor wouldn’t want to use the whole Q&A. Although damn interesting, it was pretty long for a Squid Ink blog post. But I figured I’d just take whatever questions she didn’t want to use and post them on my blog. Turns out she liked ’em all. Yay! It’s long but if you’re so inclined and have any interest about where the Edison is heading under Joe’s command, what’s going to be the next It cocktail and who’s his bartender idol, you might want to give it a look-see. He’s a pretty funny and interesting guy so you won’t get bored. And I’m happy to say that Joe was also good enough to give me a couple of cocktail recipes that he’s going to add to the Edison’s menu. His Porco Rosso debuted at the Radio Room last week and his tentatively named Jack Doe is an aromatic that he created for a quick shake and dump. But I’m especially excited that he gave me a mocktail recipe, too, since I’m on my booze fast til April. Anyway, enjoy. Although it’s pretty dark, here’s a video of Joe shaking up a cocktail. LOL I know. You keep saying that.